Product #60727 | SKU XK-1540-USK40R-R | 0.0 (no ratings yet) Thanks for your rating! The X-keys XKE-40 Rack Mount features 40 dedicated keys in an extruded case with rack mountable ears. Perfect for server control or production truck installations. It offers forty programmable keys to trigger macros, shortcuts, and applications, select tools or open files or directories. 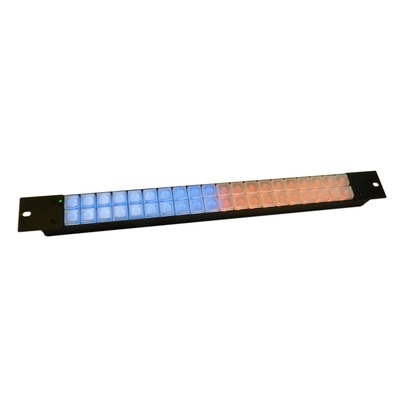 The XKE-40 provides a versatile control strip for any computer-driven application.